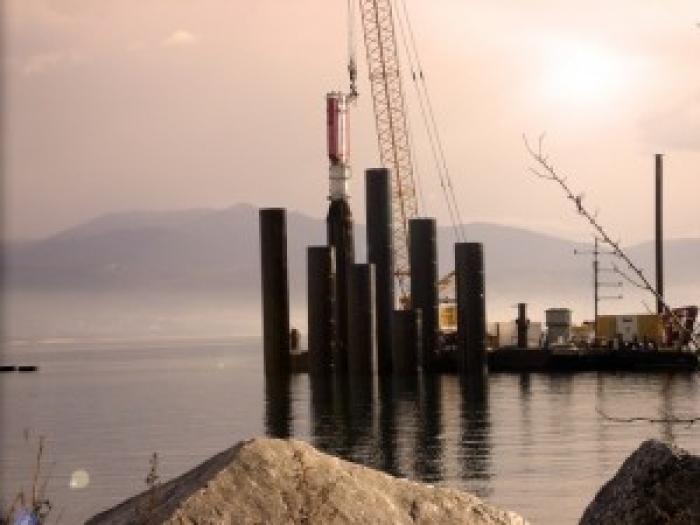 If Piling Production is on your Projects Critical Path, then you can’t look past a DAWSON hydraulic Impact Hammer to achieve BEST PRODUCTIVITY. With a blow rate of 80 bpm (blows per minute) at maximum stroke, the Dawson HPH15000 double-acting hydraulic impact hammer far exceeds the production of its nearest competitor, the IHC S280 hydrohammer, which only achieves 45bpm. i.e.the DAWSON is 78% faster than the IHC. Aside from increased productivity, an additional benefit of a higher blow rate is that “it keeps the pile moving” (i.e. the pile doesn’t temporarily “set-up” between blows), so you are not overcoming a limiting friction with each successive blow in your driving regime. This attribute can be equated to the MOMENTUM of the pile, and the “Momentum delivered to the pile per minute” is what helps smaller, faster hammers potentially drive piles deeper than larger, slower hammers in certain geotechnical profiles, albeit the larger hammer having a greater maximum energy. Pilequip has observed this for many years, where our smaller double-acting DAWSON hydraulic impact hammers drive sheet piles deeper than slower, free-fall hammers which have over twice the maximum energy of the DAWSON. 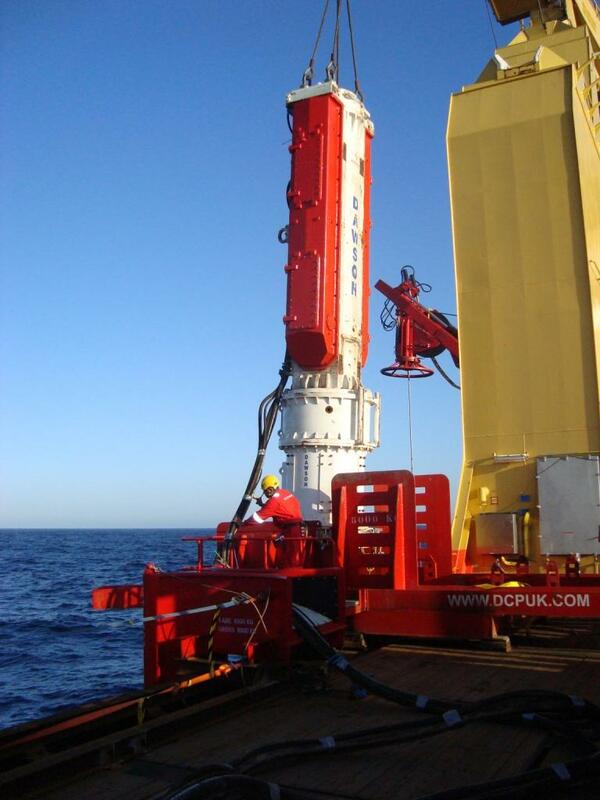 It is the “Momentum delivered to the pile per minute” which enables the greater driving depth. – Momentum per blow = 60,000 kg.m/s; Momentum delivered per minute = 4,800,000 kg.m/s per minute. 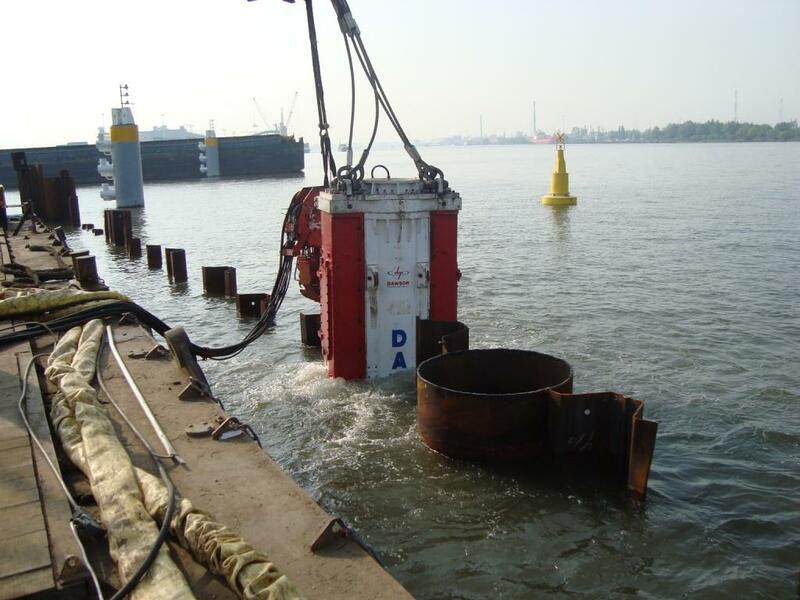 – Momentum per blow = 87,312 kg.m/s; Momentum delivered per minute = 3,929,040 kg.m/s per minute. From the above, you will notice that the DAWSON HPH 15000 delivers almost 22% more Momentum per minute than the IHC S280. 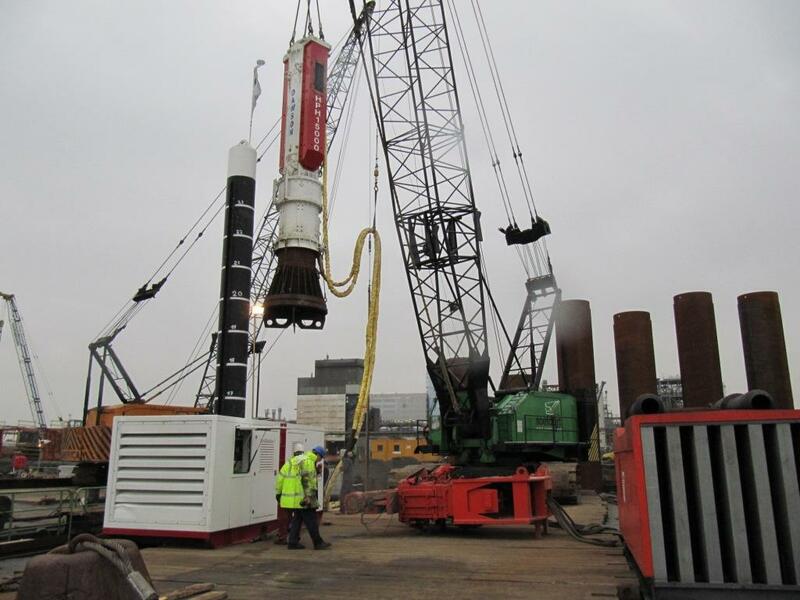 This is why the DAWSON HPH 15000 (150kN.m) hydraulic impact hammer HAS driven large pile sections deeper that the IHC S280 (280kN.m) hydrohammer in particular geotechnical profiles. From the above you will also notice that the impact velocity of the DAWSON HPH 15000 is significantly less than the IHC S280 hydrohammer – meaning less potential to damage the pile head and/or toe. The high 6.42m/s impact velocity of the double-acting IHC S280 puts the pile at high risk of damage to the pile head and/or pile toe, which can compromise the integrity of the pile and if damage occurs incur great cost (dollar and time) in replacement / rectification. The Dawson HPH 15000 has an impact velocity of only 5.00m/s. This is over 28% less than the IHC, and is even less than many free-falling hammers, minimising potential for pile damage associated with many double-acting hammers. 1. Greater blow rate : Achieves 80bpm in fully automatic mode at maximum drop height, making it the fastest hydraulic impact hammer in the industry, and hence highest production rate. 3. Lower impact velocity : Minimising risk of damage to the pile head and/or toe. ** PILEQUIP is the exclusive Dealer & Service Agent for DAWSON. If you would like to realise productivity gains (and project savings) on your next Project, contact Pilequip and enquire about the range of DAWSON double-acting hydraulic impact hammers for rental or purchase.